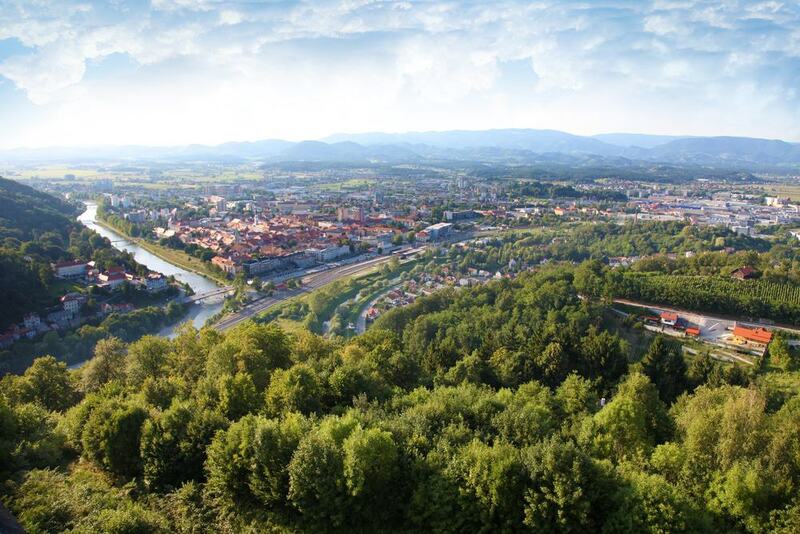 Slovenia’s third city is in the Lower Savinja Valley in the embrace of tall forest-coated hills. Crowning one peak to the south is Celje’s Old Castle, the commanding seat of the Counts of Celje who ruled much of Slovenian territory in medieval times. The sight of the city from these walls is epic, and the castle’s towers tell stories of family intrigue and star-crossed love in the time of the Counts. Down the slope, the historic centre of Celje is rich with mansions and grand municipal buildings in the Revivalist style, as well as two much older palaces that are both departments for the Celje Regional Museum. 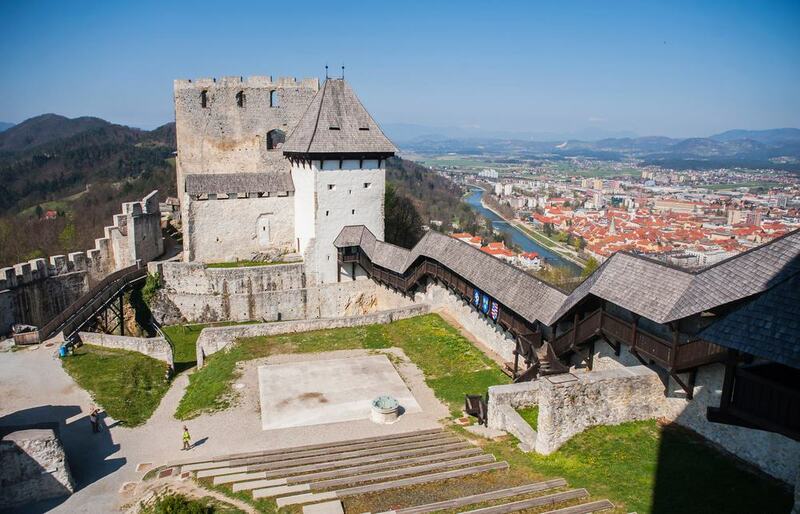 The Counts of Celje had the most powerful dynasty in Slovenia in the 14th and 15th centuries and their seat of power was this brooding castle just south of the modern city. The hilltop enclosure took shape in the 1330s and kept an entire town inside its outer ward, making it Slovenia’s largest fortification at the time. In the complex is the four-storey Friderik Tower, where Count Herman II imprisoned his own son Friderik II after he fell in love with the wrong woman. The castle has been refurbished and installed with a tourist information centre, a cafe and wooden walkways to help you get about. The scenery from the walls intoxicating, and there’s a complete view of modern Celje and the confluence of the Savinja and Voglajna. Celje’s finest Renaissance building dates to the turn of the 17th century and backs onto the city’s southern walls beside the Savinja. Outside the most striking feature is the long arcade and first floor gallery on the facade, while within there’s the Celje Ceiling, which was painted at the Renaissance-Baroque transition. 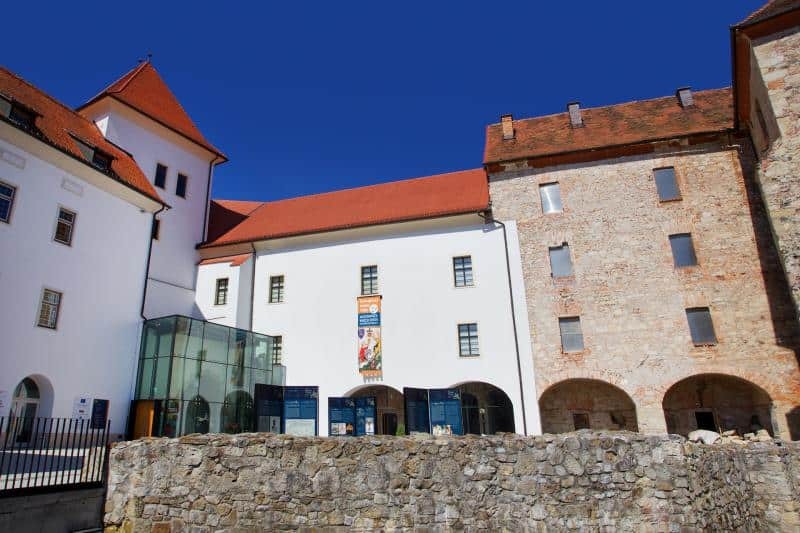 Inside is a branch of the Celje Regional Museum, presenting furniture, woodcuts, coins, paintings from the 1200s to the 1900s. There’s also a timeline of art and architecture in the city, from Gothic to Historicist, as well as on overview of regional savoir-faire like weaving, beekeeping, pottery and basket-making. Celje’s Roman history is also laid bare downstairs in the lapidarium, which has sculpted and inscribed stones going back 2,000 years. 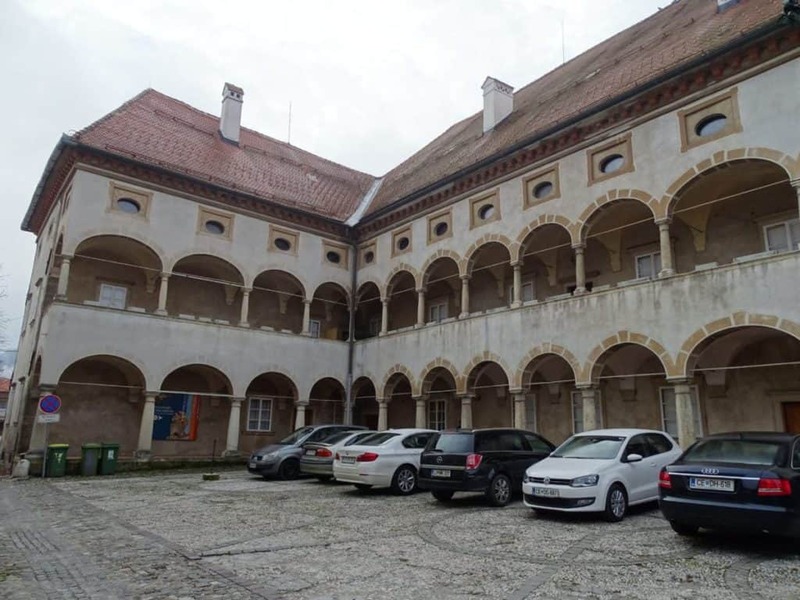 Another residence for the Counts of Celje, this property has been recognised as a national monument. After their line died out in the 1456 this palace had many different roles, one of which was as a barracks during the rule of Empress Maria Theresa in the 1700s. The house is also now a site for the Celje Regional Museum: The best bit is in the basement where some 1000 square metres of Ancient Celeia’s paved roads and buildings have been excavated and can be viewed from footbridges. 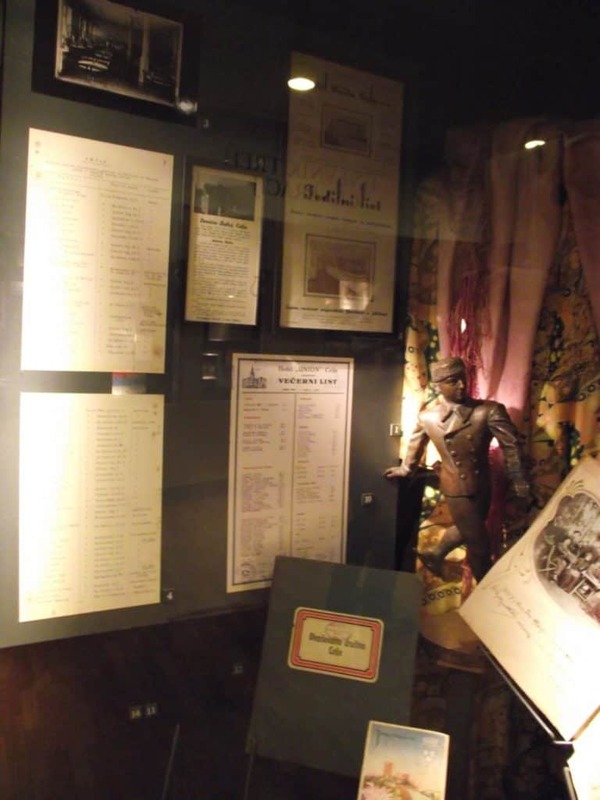 This museum about contemporary life in Celje has a few locations around the city, including a former Minorite monastery used by the Nazis and Josip Pelkan’s photography studio. The headquarters is the Neoclassical former town hall on Prešernova Ulica. In this building you’ll get a summary of life in the city across three generations in the 20th century. A furnished bourgeois apartment is recreated to give a sense of Celje’s new middle class in the beginning of the 1900s. And upstairs there’s a “Tradesmen’s Street”, where all of Cleje’s old-time businesses are presented, complete with authentic instruments and materials. 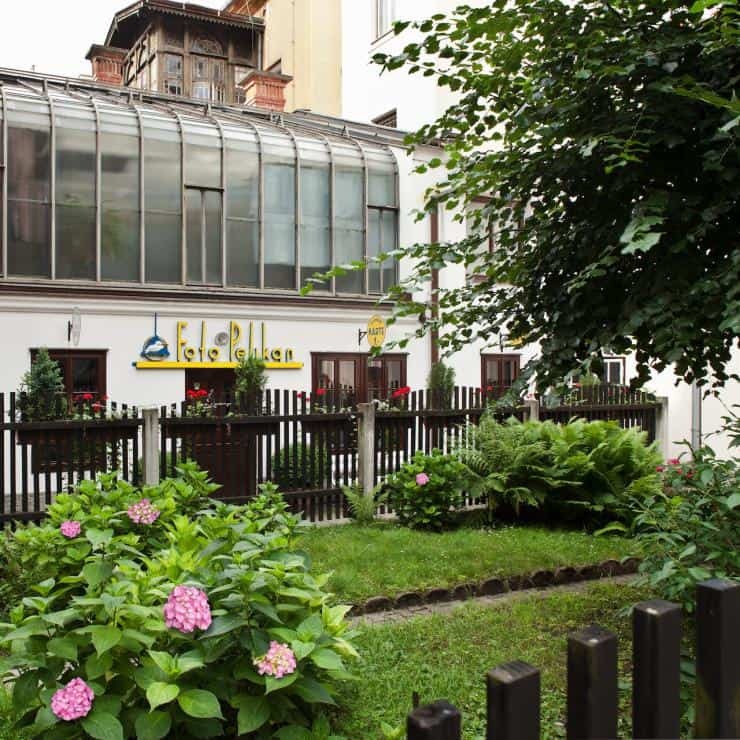 This building on Razlagova Street is listed as a Slovene cultural monument and managed by the Museum of Recent History. It dates to the first decades of the 20th century and was where the much-loved photographer Josip Pelikan worked his magic. On the upper floor is one of the few remaining skylight studios in Europe, while downstairs the darkroom and retouching room are exactly as they were where Pelikan passed away in the 1970s. A host of photograph apparatus has been preserved, like glass plates, developing tanks, lamps and historic cameras, and there’s a fantastic exhibition of his portraits that capture Celje’s citizens across 67 years. The city’s cathedral is a rather muted Gothic monument from the beginning of the 14th century and has been altered many times since then. 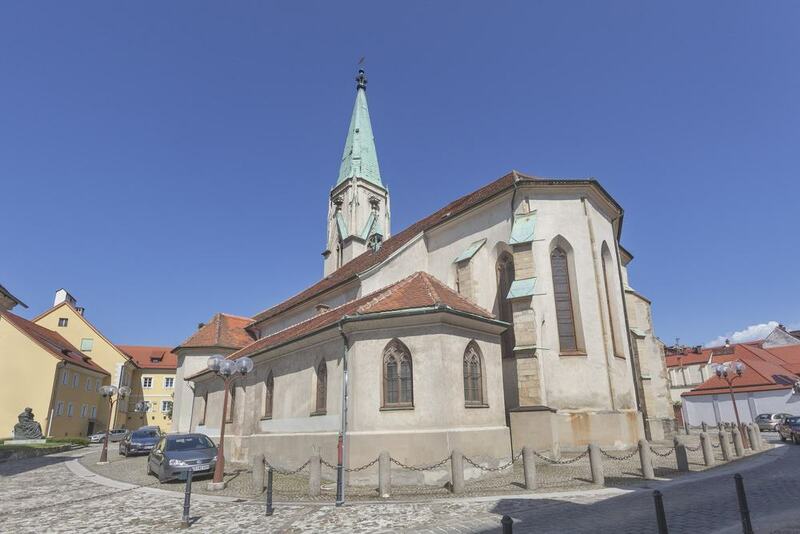 The most recent works took place in 1858 when the church was given its current Neo-Gothic style. But history geeks might find a few things to hold their attention for a while: The ceilings on the nave and choir have frescoes painted in the 1300s and 1400s. A little newer is the side alter for St Francis Xavier, designed in the luxuriant Baroque style in 1743. The last remaining fragments of Celje’s defensive system is still in place beside the water by the Old Landgraviate Building. These were started in 1450 and wouldn’t be completed until 1473. They stood strong for 300 years but come the end of the 18th century they were no longer needed they were sold off in an auction. The biggest chunks are on the Savinja waterfront and along Vodnikova Street. The one of the four towers to survive to the present day is the Water Tower at the southeast corner of the walls. There’s an neat historical curiosity on its wall in the form of a plaque from 1672 to indicate the water level during a great flood that year. 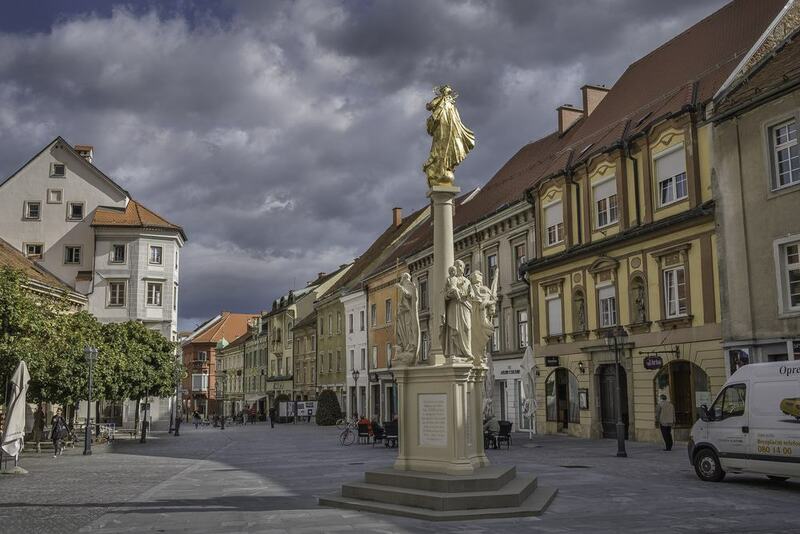 The centre of Celje is compact and also walkable, as a few of the streets around the City Hall are pedestrianised. The city has that late-19th-century Historicist design, with regal stucco-clad townhouses and municipal buildings. One such monument is the Neo-Renaissance Narodni Dom from 1896, while the Celjski Dom is from 1907 and sticks out for its Neo-Gothic tower. Slovenia’s greatest 20th-century architect Jože Plečnik also drew up the majestic People’s Loan Society in 1929 and with three storeys of balconies supported by columns on its facade. Much older is St Mary’s Column erected in the Main Square in 1776 on the spot where criminals used to be executed. 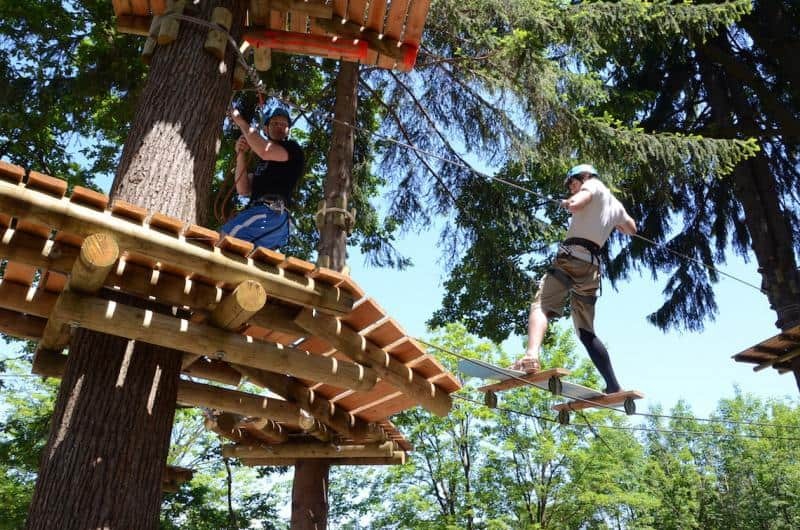 If you’re searching for something fun and active for kids to get up to, this attraction opened Celjska Koča in 2014. On a wooded hillside there’s an adventure course with planks, nets, climbing walls, zip-lines and various rope bridges, all raised above the forest floor and attached to tree trunks. The park is made up of three courses, Blue, Red and Black, and kids as young as five can take part. They’ll kitted out with helmets and harnesses and will be carefully supervised. 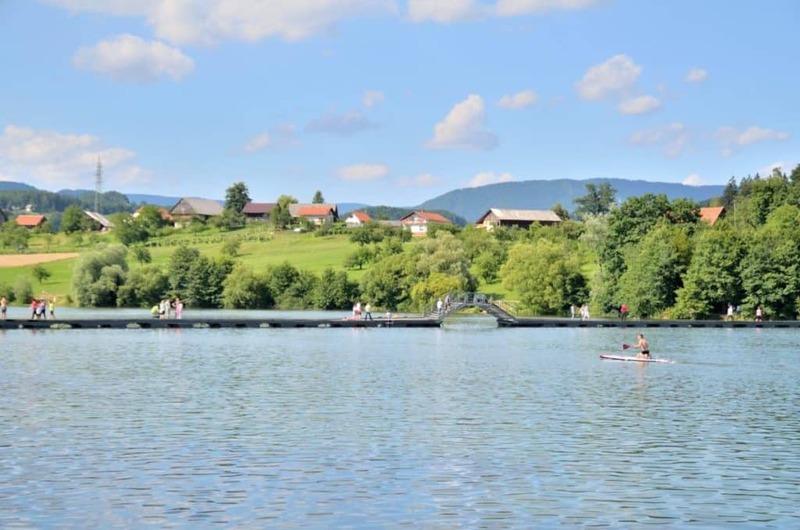 In 1970 the Koprivnica River was dammed about five kilometres up from Celje, creating a large reservoir that has become a favourite beauty spot. The lake is convenient and accessible if you want to see more of the idyllic countryside near the city. Walkers can set out on woodland trails around the water, sections of which are on raised footbridges. In winter the water freezes over, while in summer there’s a boathouse renting out all manner of vessels. You could hire a kayak or stand-up paddleboard for an hour or two, while families can take a pedalo out onto the lake and dive into the water to cool off. In the north of the Old Town, the city’s market drew international acclaim in architecture circles when it was redesigned in 2009. 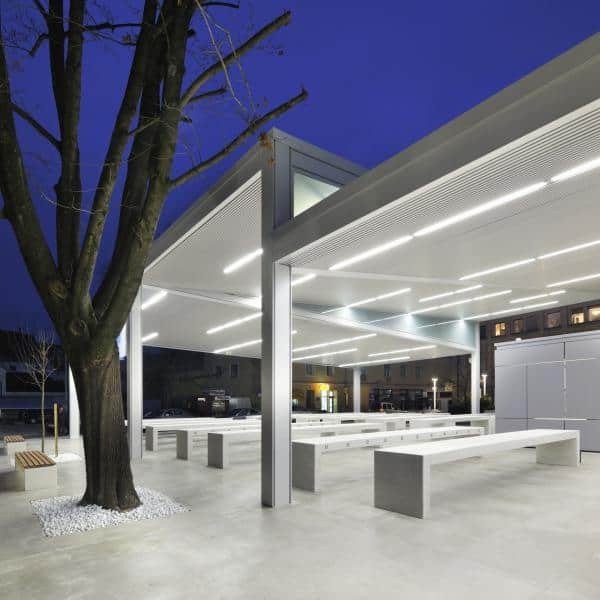 The firm Arhitektura Krušec led the design, which comprises a steel pavilion with an irregular roof to allow as much natural light into the market as possible. The project was shortlisted for the Mies van der Rohe Award the year it was completed. The best day to come is Saturday when the organic market is in full swing, but the rest of the time it’s a good place to do your grocery shopping, grabbing fruit and vegetables, dairy products, meat and homemade delicacies. 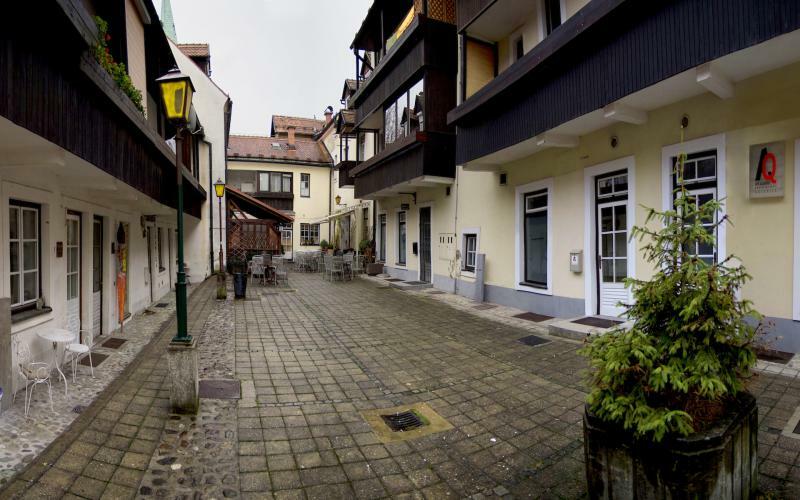 Celje has a vibrant contemporary art scene that has been nourished by the local government. At the start of the 2000s the city invited artists to set up shop in the old, empty buildings on Na Okopih and Gosposka Streets to build a new art quarter. Crammed into this small quarter around a square are a host of studios and workshops, and the place to see their work is AQ Gallery, also in this area. The gallery opened in 2013 and puts on exhibitions of photography, sculpture, painting and graphic art, as well as musical performances. You can keep in that arty vein by dropping by the Gallery of Contemporary Art, which is part of the Prince’s Mansion complex. This gallery stages specially curated temporary shows on themes as wide-ranging as post-feminist theory, wartime reminiscence and the phenomenon of death in contemporary society. 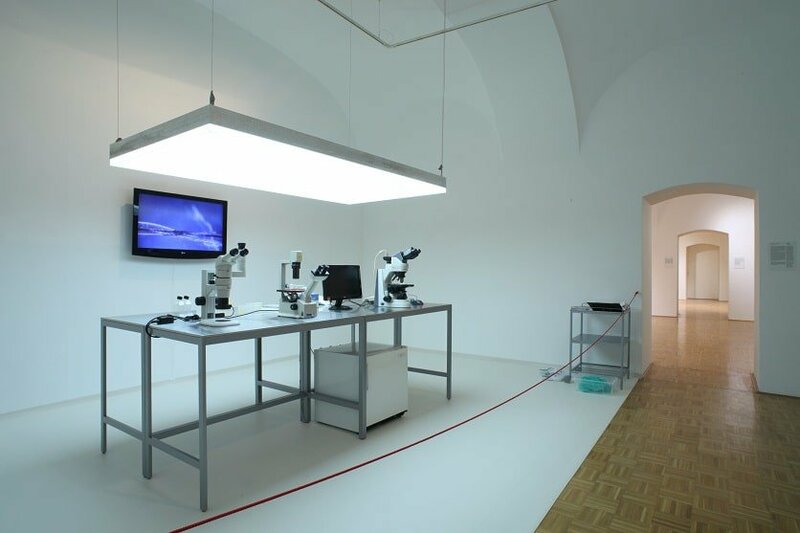 Despite their focussed subject matter, these exhibitions will bring you face to face with some of the most important art made in Slovenia since the Second World War. Some heavyweights of 20th-century Slovenian art have been represented here like Stane Jagodič, Zoran Mušič and Marijan Tršar. Celje was the first city in Slovenia to have a railway line, laid in 1846 and running to Grobelno around 15 kilometres southeast of the city. By the 20th century this was extended and joined up with a region network. But you can still ride that historic track once a week on Saturdays in summer on a stream train that shuttles down to Podčetrtek on the Croatian border. Setting off from Celje’s graceful 19th-century terminal, the journey takes just under an hour and weaves through some gorgeous scenery and past historical landmarks. Once you’re in Podčetrtek you could take a detour to Olimje, famed for its colourful Renaissance castle. In autumn, apples are a point of pride in Celje, and come totally untreated by insecticides or preservatives. 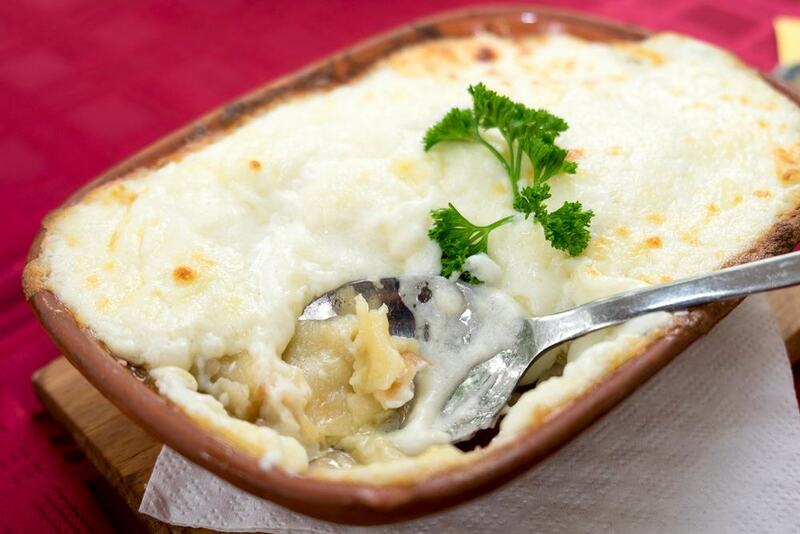 And if you find yourself in Celje in winter you might notice the word “koline” on menus and typical restaurants. This refers to pigs that are slaughtered in this season, producing fresh cuts of pork, krvavice (black pudding) and a range of sausages, both cooked and cured. A festive dish is mlinci, a kind of flatbread that is baked, broken into pieces and mixed with stock or soup to soften it. On the sweet side, potica is a kind of nut roll, normally baked around Christmas and Easter but available in other seasons too. There are a few different fillings but the festive favourite+ at Christmas is walnut, honey, vanilla and cinnamon.